Hey whats up everybody, my name is Jonathan and I have a crystal white 95 cobra. Check out some pics on my cardomain site here: http://www.cardomain.com/ride/3246169 I look forward to meeting some fellow white mustang owners. Maybe we can hang up a banner at Mustang Week haha. Hooray crystal white! 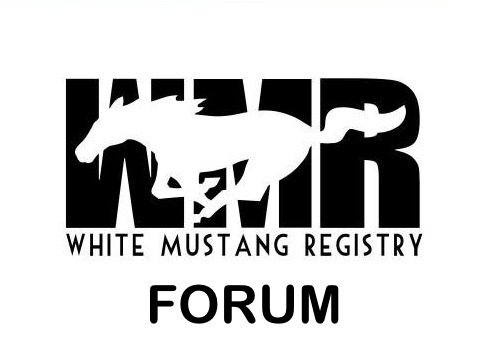 Welcome to the new WMR! Yeah I love Mustang Week, I have been to the past two and don't plan on missing any anytime soon. I didn't display this past year but if yall decided to do some kind of white mustang display thing next year or something I would definitely be in. I posted a link to a video I made of this past Mustang Week car show in the videos section if anybody wants to check it out.